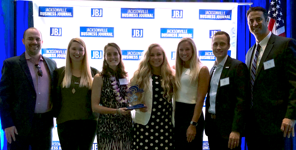 The Jacksonville Business Journal ranks each qualified company by its percentage of annual growth over a course of three years. The HCI Group has been designated as the 48th fastest-growing company in the region this year and the 7th fastest growing by volume. HCI’s streak of six consecutive Fast 50 Awards began in 2013 with a #1 overall ranking. This recognition comes on the heels of The HCI Group being listed on the Healthcare Informatics 100 (HCI 100) for the 4th consecutive year. The HCI 100 compiles the top 100 healthcare IT vendors with the highest revenues derived from healthcare IT products and services earned in the U.S. The HCI Group is a global leader in healthcare IT consulting and technology solutions. We are committed to improving healthcare globally through a combination of disruptive innovation and cost reduction. HCI’s vision is to transform the healthcare industry into the leader of the adoption of digital technology.